The Carolina Panthers are getting trade calls for kicker Graham Gano and might move him on Saturday during final roster cuts. The final day of roster cuts in the NFL always brings about some exciting action. Notable names being released from rosters, like the Cleveland Browns cutting high-paid quarterback Brock Osweiler or the Chicago Bears releasing wide receiver Victor Cruz. Rarely do kickers make headlines on this day, but the Carolina Panthers are getting trade calls for long-time kicker Graham Gano and they might actually entertain moving him since they drafted a kicker in the offseason. Gano was an integral part of the Panthers run into the Super Bowl, and a huge part of successful fantasy teams as he compiled a ton of points that season. What demand there is for a kicker has yet to be seen, but it couldn’t be as fruitful as Panthers fans are hoping for. The Panthers must feel confident that Harrison Butker is a suitable replacement for Gano to be entertaining calls for Gano, an eight-year veteran. Butker was brought in to compete with Gano and trading Gano makes the decision on who to keep or cut easier. Butker is a more affordable option at kicker than Gano. 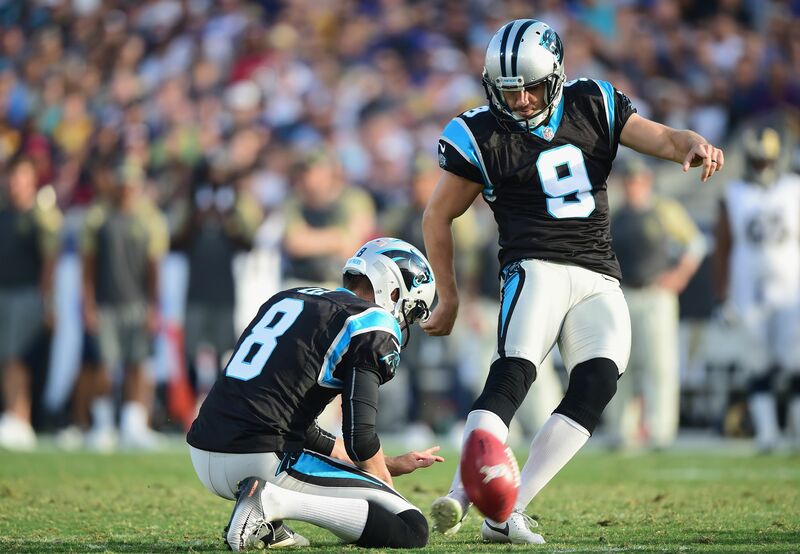 The Panthers have also released punter Andy Lee. Panthers have cut punter Andy Lee, keeping Michael Palardy, per source. Not a great day for special teams players for the Carolina Panthers. The Gano trade saga will be an interesting situation to keep an eye on during final roster cuts, a team desperate enough might make a move and overpay.